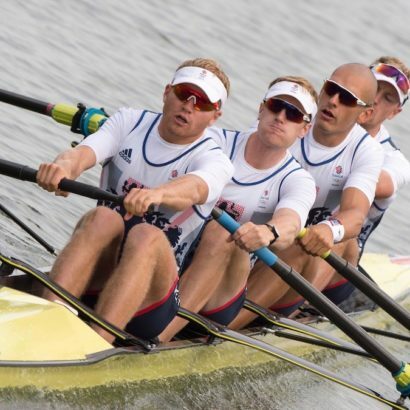 George Nash has been no stranger to success during his GB Rowing Team senior career, winning Olympic gold and bronze, three World titles and two European crowns in five seasons. George Nash is a former Cambridge Blue who had previously been a World Champion at U23 and Junior level. He is also a gold medallist from the FISU World University Rowing Championships. 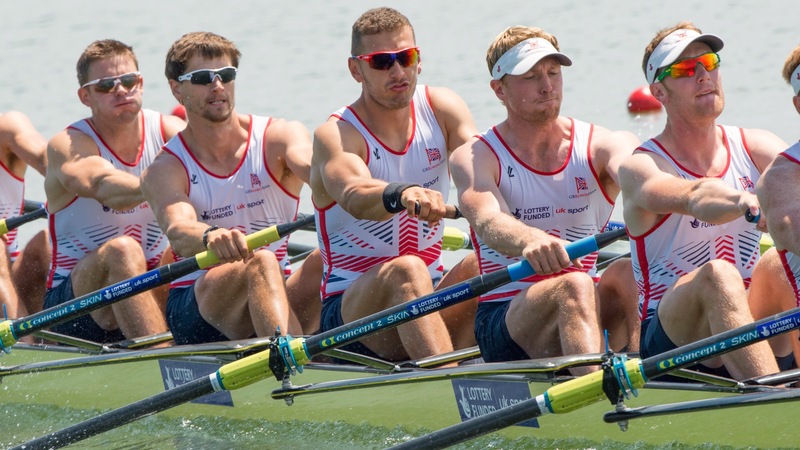 George will be looking to continue that successful streak in the years ahead after joining the ranks of Olympic Champions by winning gold with the men’s four at Rio 2016. 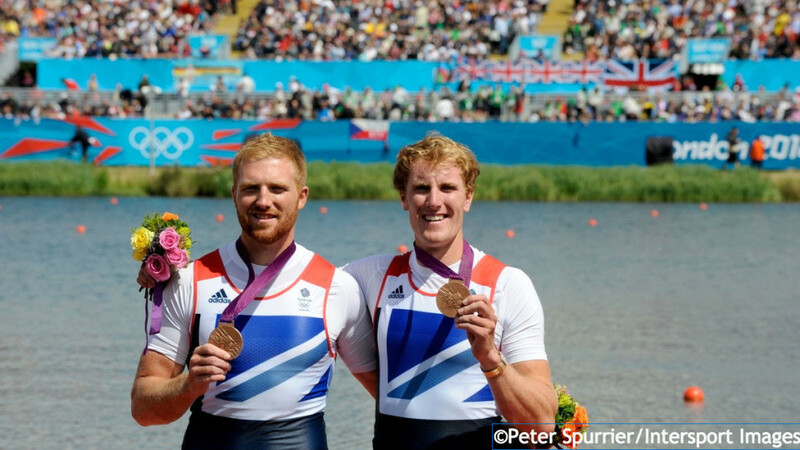 After being crowned World Champion in 2013, 2014 and 2015, George completed a golden Olympiad at Rio 2016 as he helped GB secure a fifth successive men’s four title. He teamed up with Alex Gregory, Mohamed Sbihi and Constantine Louloudis to power to victory on a fantastic Friday on the Lagoa Rodrigo de Freitas, beating Australia by three-quarters of a length. After finishing third in the GB Rowing Team Trials with Will Satch, George was selected in the men’s four. They made a winning debut at the European Championships in Brandenburg, securing gold in choppy conditions, but Louloudis was unable to race at the Lucerne World Cup due to illness. 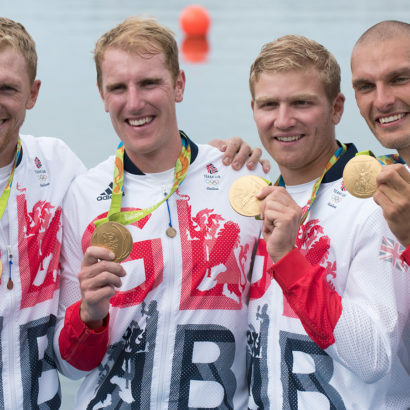 Callum McBrierty took his place in the boat as the four won a dramatic gold, pipping Australia on the line. Louloudis returned for the Poznan World Cup, where GB maintained their unbeaten record for 2016 by finishing a length clear of World Champions Italy. 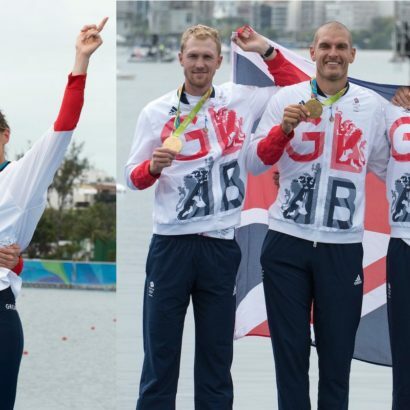 George had started the Rio Olympiad in the eight and helped to secure a historic first-ever World Championship gold for a British crew in the event. He was selected for the men’s four in 2014, joining Andrew T Hodge, Gregory and Sbihi in a crew that remained unbeaten throughout the season. After securing a first European Championships title of his career, George also won gold at the World Cups in Aiguebelette and Lucerne before the four produced an outstanding clear-water victory at the World Championships in Amsterdam. An enthralling 2015 saw George return to the eight and, along with his crew-mates, enjoy a season-long battle with Germany. After having to settle for silver at the European Championships, GB won World Cup gold in Varese and Lucerne by fractions of a second. The drama continued at the World Championships in Aiguebelette as GB edged out their rivals by two-tenths of a second to claim gold for a third successive year. When George won bronze in the men’s pair at the London 2012 Olympic Games, it capped an eye-catching rise through the ranks. 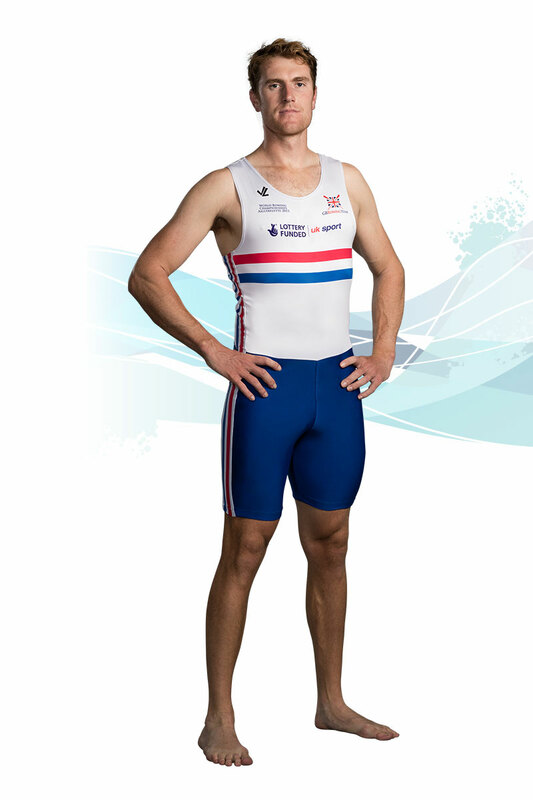 He had made his first GB Rowing Team appearance at the 2006 World Junior Championships, finishing fourth in the eight, and returned to win gold with four the following year in Beijing. George represented GB at the Australian Youth Olympic Festival in January 2009, winning gold in the pair, four and eight, and was then selected to race in the coxed four at the World U23 Championships in Racice, finishing ninth. The 2010 season saw George win a silver medal at the World U23 Championships in Brest in a men’s four also featuring Nathaniel Reilly-O’Donnell and Constantine Louloudis. He then moved to the men’s eight for the FISU World University Championships in Hungary, this time winning gold in a boat that led throughout. A senior debut followed in 2011 as George and Constantine, racing in the men’s pair, finished seventh overall at the World Cup in Lucerne. They also contested the World U23 Championships together and dominated throughout, going on to win gold by a five-second margin. George formed a new-look pair with Will Satch in 2012 and showed promising signs during the World Cup series as they won silver in Belgrade and finished fifth in Lucerne. That promise was underlined at the Olympic Games as the pair won a brilliant and unexpected bronze medal, almost catching France for silver as they were roared on by the home crowd. 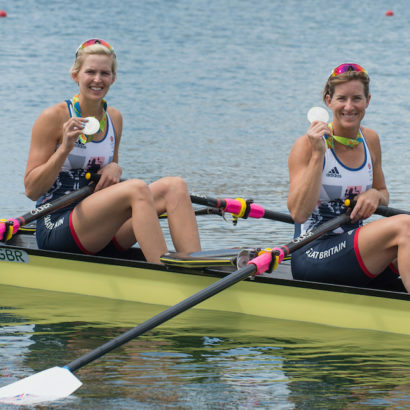 George is following in the footsteps of his aunt, who also represented GB in rowing in the 1970s. His grandfather was a rugby captain at Cambridge. He started his rowing career at the age of 13 while at Winchester College and went on to be vice-captain of the boat club. While studying Engineering at St Catharine’s College, Cambridge, George competed in three Boat Races – winning in 2010 but losing in 2011 and 2013. He was President of Cambridge University Boat Club in the latter year. In his spare time, he enjoys playing golf. George is Lottery funded through UK Sport. The Lagoa might have looked grey under today's heavy rain and leaden skies but in 30 magical minutes, two GB crews cast a vibrant and golden glow on the Olympic regatta.